Elephant Piped Spitter Statue Garden Sculpture. Lifting his trunk for luck and to share a good-natured cascade of sparkling water, Sprinkles, our charismatic elephant arrives piped and ready to claim the place of honor in our garden, pool or pond. 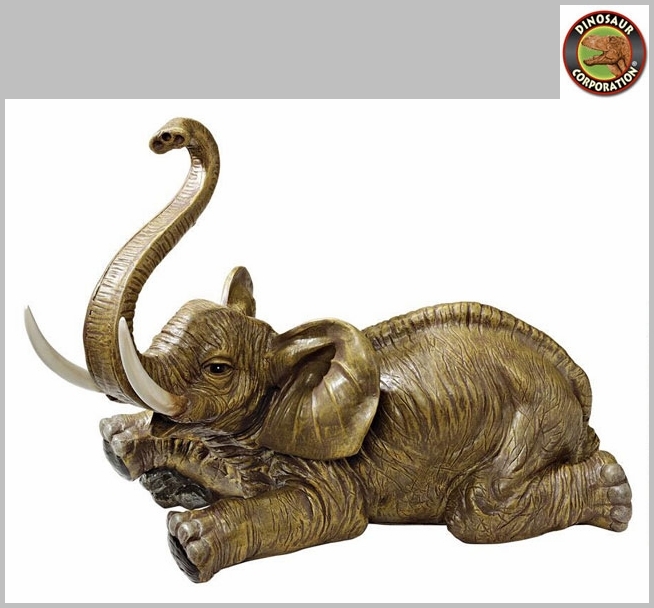 As a mighty titan of the animal kingdom, this Design Toscano exclusive cast designer resin pachyderm with masterful hand-painted detail adds character with sculptural accuracy from masterful tusks to massive haunches. Optional 240 Gallon Pump with tubing. * Size: 24" W x 14" D x 18�" H.